DigiShot® is an easy-to-use, reliable, electronic initiating system for use primarily in smaller blasting operations that demand accurate timing. It has the ability to blast remotely via RF with market-leading safety features. The connector is small, transparent, rugged and water resistant with finger-friendly grips for ease of use. Blaster-Friendly Tagger. The CE4 Tagger is a light-weight, inherently safe hand-held device that is used to save the blast hole location in the detonator. It can be used to test an individual detonator, part of the pattern or the entire circuit before leaving the bench. Blast Scalability. Each Blaster can fire up to 300 detonators. For larger synchronised blasts (firing up to 600 detonators), an additional Blaster may be linked. Rugged Reliability. The over-extruded detonator downline and robust connector ensures reliable communication between the DigiShot® electronic detonator, Bench Blaster and CE4 Tagger. Better control of vibration. The accuracy and precise timing capabilities of the system result in a significant reduction in vibration levels during the blasting process, making the programmable DigiShot® electronic initiation system suitable for application in environmentally sensitive areas. Easy-to-use software minimizes training time. A simple, menu-driven software interface coupled with the ability to connect detonators in any order makes for a user friendly system that minimizes training. Automatic or fully programmable delay timing. Choose auto-timing to set the delays for a blast design with consistent inter-row and inter-hole timing, or manual timing to accommodate any delay scheme. Security. The DigiShot® Blaster is password protected, requires a specific SmartKey and uses a coded signal to fire the blast. Single Blasting Device. 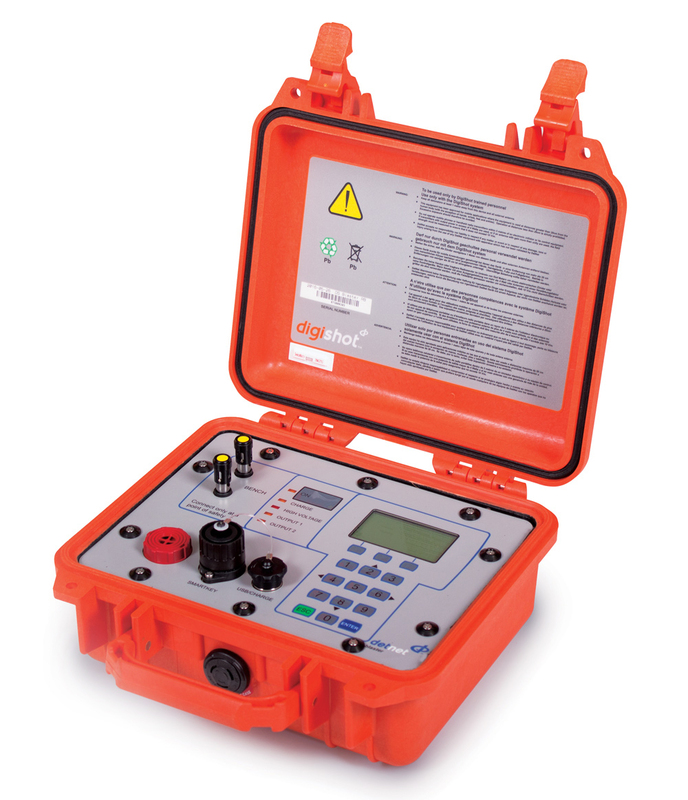 DigiShot® detonators connect directly to the blasting equipment without the need for intermediary equipment. Each Bench Blaster has a capacity for 300 detonators, allowing for simple deployment. Remote Firing. The system offers a maximum remote firing capability of up to 1000 m – line of sight.